Having grown up and lived most of my life in the Portland, Maine area, I have a special kind of hometown love for this coastal spot. But seeing the area with the new eyes of my children makes me fall in love with it even more with each changing season. While the city itself provides plenty of arts and cultural entertainment for us, the access to the ocean, lakes, mountains, and rivers give it just the right balance we love. 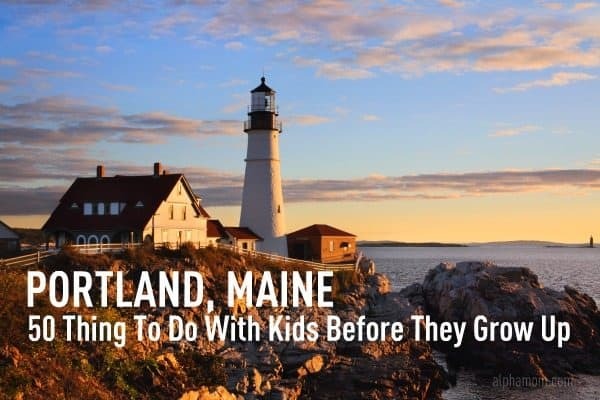 Whether you’ve been here for a while, or you’re just here for a little vacation time, I hope you’ll find something on this list to keep you and your little ones happy and having fun in Portland, Maine! 1. Take a walk on Mackworth Island, where you’ll need to stop in the magical village of fairy houses to build your own fairy abode! Dan Zanes at the LL Bean Concert Series2. 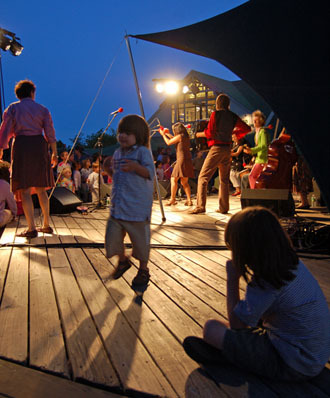 Head to LL Bean – not just for the shopping, but also for the outdoor evening Summer Concert Series. 3. Make the journey (about 2 hours North of Portland) to the Maine Organic Farmers and Gardeners Association’s annual Common Ground Country Fair. Held the third weekend in September, the weekend has an old fashioned country feel with livestock, Maine farmers, and exhibits and demonstrations on sustainable living, organic farming, and Maine crafts. Don’t miss the special Children’s Area with plenty for your little ones to do! 4. About an hour west of Portland on the last weekend in September, you’ll find the Apple Acres Bluegrass Festival. Featuring local bluegrass music and a bbq, the event is held in the apple orchards. Perfect for dancing, and picking Maine apples at the height of apple season! 5. Check out the Old Port Festival, always held the first weekend in June. Be sure not to miss the larger than life, giant and beautiful puppets in the parade by Portland’s Shoestring Theater. Snowshoeing in Pineland6. 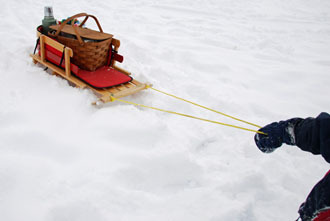 Rent snowshoes and head out on a trail at Pineland Farms in New Gloucester. 7. For cold and rainy days (or hot and humid ones! ), the Children’s Museum of Maine is always a great time for the little ones. 8. A trip to the Old Port is essential from time to time – stop by Treehouse Toys for the little ones, and Edith & Edna and Ferdinand for handmade loveliness. And wrap it all up with delicious organic, local gelato at Maple’s Organics. Spring Point Light House9. Stop by Scratch Baking Co. in Willard Beach, South Portland for the yummiest bagels around town. Follow it up with a walk on Willard Beach and Fort Preble on the Southern Maine Community College campus. The lighthouse (Spring Point) is open for public tours on Saturdays in the summer months. 10. Take a trip back in time on the Maine Narrow Gauge Railroad, where you’ll get a fabulous view of Portland’s waterfront. 11. Visit some Maine native animals in rehabilitation at the Maine Wildlife Park in Gray. 12. Catch a Portland Sea Dogs baseball game – the AA affiliate of the Boston Red Sox. 13. Go frog catching and bird watching at Capisic Pond. 14. Catch some mackerel off the end of the Maine State Pier on Commercial Street. 15. Walk the 4 mile Prout’s Neck Cliff Walk, beginning at Scarborough Beach State Park. The walk goes along the rocky coast, onto private beaches (with public access), and by historic waterfront homes. Deering Oaks wading pool16. Stop by Deering Oaks on a Saturday morning for a visit to the Farmer’s Market. 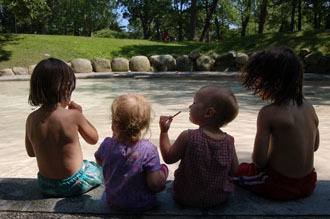 Follow up with some play in the children’s wading pool. 17. Spend a day – any time of year – at Maine Audubon’s Gisland Farms in Falmouth. You’ll find a 65 acre sanctuary full of trails, an educational center and children’s discover room. 18. Take a half-day, day, or overnight sea kayak tour with Maine Island Kayak Company. Scarborough Marsh19. 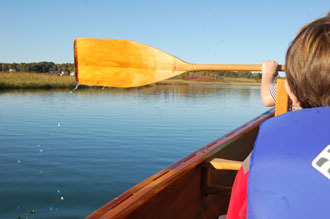 Canoe through the marsh, and discover the unique habitat at Maine Audubon’s Scarborough Marsh, in Scarborough. Both canoe and kayak rentals are available. 20. Visit the Yarmouth Clam Festival in Yarmouth, held in mid-July. Full of events, crafts, food and a fair atmosphere, the hour long parade on Friday night is not to be missed! 21. Charter a windjammer for a private 2-hour sail around the islands of Casco Bay. 22. Join the Mailboat on a ferry run at sunset as it goes about it’s business of delivering mail to Casco Bay’s island residents, while getting a scenic tour of the bay. 23. Gather some friends for an classic and scenic Lobster Bake on House Island. Pick your own strawberries at Broadturn Farm24. 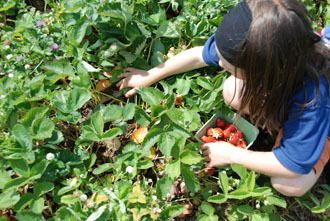 In June, head to a Broadturn Farm in Scarborough for some pick your own strawberry love. 25. Take a hike at Bradbury Mountain State Park in Pownal. A beautiful spot for seeing the foliage in the fall, and hawk migration in the spring. 26. 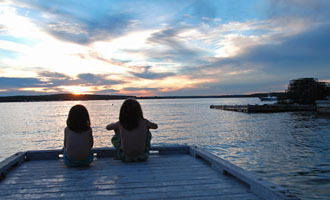 Head up an hour north of Portland to Sebago Lake State Park, where you’ll find a state park with great lake swimming, as well as Douglas Mountain – a great little hike for even the youngest of kids. at Crescent Beach27. Catch some surf at Higgins Beach in Scarborough or Crescent Beach in Cape Elizabeth (beaches are right next to each other). Bring your boards, or kayaks for some wave action! 28. Head to Old Orchard Beach for an old-fashioned carousel, and fries on the pier. 29. Visit Fort Williams, in Cape Elizabeth. The best spot around for kite-flying, lighthouse viewing, and fort exploring (bring your flashlights!). 30. For some great family vaudeville, check out Phyzgig: A Festival of Physical Comedy, held each year at SPACE Gallery. 32. See the classical holiday ballet performance of the Nutcracker by Maine State Ballet. The ferry to Peaks Island33. 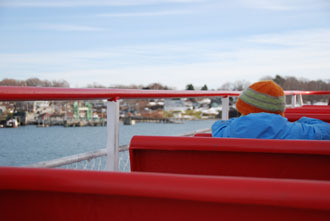 Take the Casco Bay Lines Ferry to Peaks Island, where you can rent bikes to ride around and explore the island. 34. If your little ones need a break from the outlet shopping you’re doing in Freeport Village, swing by Wolfe’s Neck Woods State Park, where you’ll find nature trails, guided walks, and plenty of osprey! 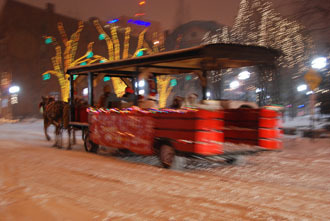 Holiday sleigh ride in the Old Port35. Attend the annual tree lighting at Monument Square for some music, sleigh rides (don’t forget the blankets and hot cocoa! ), and a sighting of Santa. 36. Visit the Portland Museum of Art, which features many works by Maine artists Andrew Wyeth and Winslow Homer. Free admission on Fridays from 5 to 9 pm. 37. Climb to the top of the Portland Observatory (built in 1807 to aid local ship owners) and get a full 360 degree view of Portland, the harbor, and the islands. 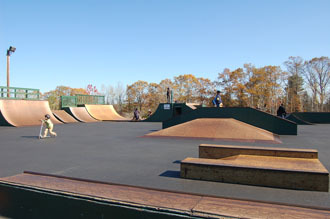 Windham Skate Park38. Do you have a skateboarder in your crowd? Head to the Windham Skate Park in Windham, where kids can rollerblade, skateboard, and scooter to their hearts content (all under the eye of its well-supervised staff). 39. Drive up to Damariscotta in the early summer months to catch the running of the alewives as they travel up river to freshwater to spawn. You’ll likely catch some osprey and bald eagles watching the action as well. 40. Spend some time at the Maine Rock Gym, an inside rock climbing facility. The gym is a great spot for climbers of all ages and provides instruction as well. Fort Popham41. 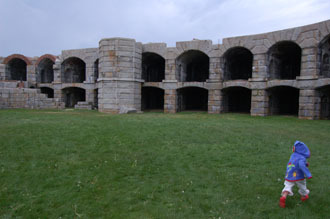 Visit Fort Popham in Phippsburg, for some great climbing and exploring. Pair it with a visit to nearby Popham Beach State Park, where you’ll likely see some seals in the harbor. 42. Eat lobsters on the rocks at Lobster Shack at Two Lights in Cape Elizabeth. 43. For the sweets-lovers in your family, Haven’s Candies offers tours of their chocolate factory each day in their Westbrook facility. 44. Catch a double feature at the drive-in movie theater at Prides Corner Drive-In in Westbrook. 45. Especially if your family includes a four-legged friend, take a stroll through the dog-friendly acreage in Robinson Woods in Cape Elizabeth, where you’ll find extensive trails through the woods and streams. 46. A great spot for the new little bikers in your family, Baxter Boulevard offers a 3 mile path along the Back Cove of Portland. 47. For the 4th of July, bring a picnic to hear the Portland Symphony Orchestra as they perform Independence Pops by the sea at Fort Williams in Cape Elizabeth. 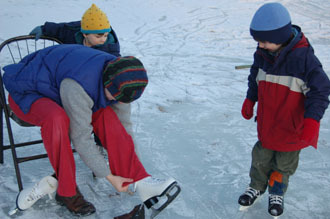 Ice Skating at Riverside48. Go sledding (or cross country skiing, or ice skating) at the Riverside Municipal Golf Course, where the trails and pond are groomed, and free to the public all winter. 49. Catch a starshow at the Southworth Planetarium on the USM campus. Sunset at Ferry Beach50. Bring a picnic to Ferry Beach in Scarborough to watch a summer sunset. This series was inspired by Mommy Poppins’ 100 Things to Do with Your Kids in NY Before They Grow Up. Hi! Wonderful list, of course there are so many things to do in Portland that it’s impossible to fit them all in 50 slots. I would add a visit to 2 fat cats (http://www.twofatcatsbakery.com/) and my son’s 2 favorite playgrounds, which are located in excellent places for a nice walk: in the eastern prom and Fort Williams park. wow, Portland seems to be a real wonderful place to live in! if I hopefully once have the chance to visit the States again, I definitely want to come over… and it seems to be a very creative place, too, so much good bloggers coming from there… sunny greetings to Maine! oooh, i love this list – and want to add one more thing!! Maine Maple Sunday – i think it’s the 3rd weekend in April (or may? ), and it’s wonderful! Maple Sunday is the 4th Sunday in March. The entire list sounds wonderful. I’ll add: The Portland Stage Company. They are in their 35th season of fantastic theater (I was an intern there many years ago). Great list! For history buffs, especially of the Civil War era, I recommend Brunswick (my hometown) with Bowdoin College & the Joshua Chamberlain Museum. And then head to Bath (where I now reside) for some great shopping & Bath Heritage Days around July 4th! Oops! I almost forgot the Maine State Music Theatre at Bowdoin College every summer with great Broadway musicals & some fun plays for kids as well! This list is fabulous! Thank you! Just a minor note that Higgins beach is not next to Crescent Beach. They are about a 10 minute drive apart. AND there is no public parking at Higgins beach. Kettle Cove is right next to Crescent Beach. 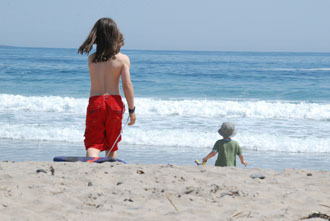 Though there is no surfing to be had there, families love Kettle Cove because there are no waves to topple the little ones. My in-laws live in Scarborough, and in the 3 years that we’ve been visiting them, we’ve completed about half the list! We are now offering bi-weekly tours of Fort Scammell, check out our website for more information. Dear Sir/Madam: Your article was so helpful for a trip we are planning soon. Thank you very much. 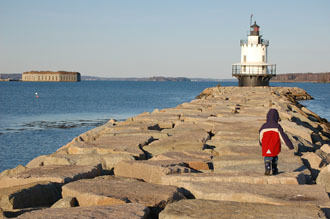 Having grown up in South Portland, Maine, I feel so homesick looking at all the familiar pictures and reading about all the places I’ve been as a child. I am planning a first trip to Maine for my own family and this list is perfect. Thanks for making my day! OMG this place sounds like a wonderland for my kids, wife and I, I have 3 of them ages: 3,4 & 5 we were planning on going to Jersey but after this awesome tour described above and the magical place in my mind I think that we are having a detour. Sinc I was a little boy I always wanted to live in Maine especially after I read 7 part book called Zoey’s Place that is set in Maine. Thanks for the list.!!!!!!!!!! I have been to Portland twice. I’m taking my family there this summer. I’m in-love with Portland. My all time fave: Thomas Kinkade store and the food is out of this world. The whole town is gorgeous!!! Enjoy your stay! Stumbled on this site while searching for summer camps for my two children and realize why I live here!!! There is so much to do!!! I feel so fortunate! I love southern maine!! My family is here visiting right now and we have done so much with so muchon your list with much left to explore! 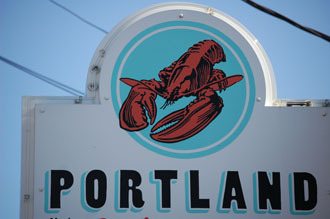 A truly great post, I just featured it in my newsletter on things to do in Portland Maine. what a great way to remind people of what a great state we live in!! Thank you! 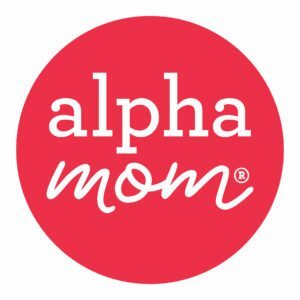 mom of 5 year old…. Funny thing, I sent this to my wife saying we have completed a number of these things and I was feeling quite proud. She pointed out the author and I realized, we have completed a few of these with soulemama! Love this list! One day I hope to visit Portland. It looks so beautiful. Maple Organics isn’t in Portland anymore. However, you can get local gelato and practice your Italian at “Gorgeous Gelato” on Fore Street. Pumpkin Fest in Damariscotta during Columbus Day weekend. Great fun, especially the pumpkin regatta in the river.